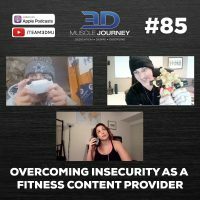 #85: “Overcoming Insecurity As A Fitness Content Provider"
In today’s episode, Andrea, Jeff, and Brad sit down to discuss one of the biggest influences on today’s culture, social media. As an online business, 3DMJ capitalizes on the opportunities social platforms provide by using them to distribute content to their followers and market services to potential clients. As with most good things, there are (as many people are already aware of) drawbacks to social media. When trying to be as transparent and genuine as possible, feelings of insecurity, inadequacy, embarrassment, frustration, and fears of becoming irrelevant are almost guaranteed. Join us this week, as the coaches discuss their feelings about social media and how they try to combat negative thoughts that arise. Branding yourself isn’t easy or comfortable, however hopefully seeing that you aren’t alone in having discouraging thoughts will make the process mentally easier and more enjoyable. 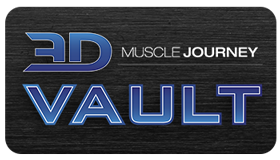 Over 95% of what Team 3DMJ publishes is completely free to the public. If you enjoy this podcast, our articles, our videos, or our courses, please consider becoming a patron of our work. 3:20- Do the coaches feel uncomfortable on Instagram because of their age? 10:56- Have Jeff or Brad ever posted something that made them feel embarrassed? 54:28- What kind of content do the 3DMJ coaches consume?